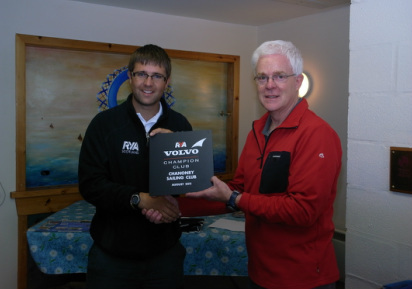 We were presented with our Volvo Champion Club plaque on 10th August 2011 by Adam McGovern, RYA Scotland Club & Pathway Development Officer. This and a large flag plus loads of coaching support material were accepted on behalf of the Club by Richard Evans accompanied by the 11 participants in a 3 day Junior Race Coaching event. 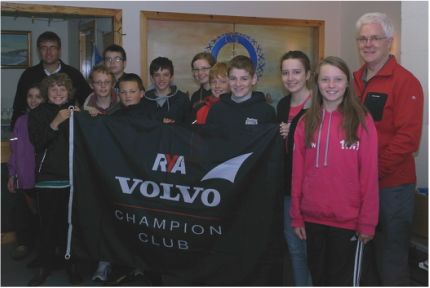 In 2013 Volvo pulled out of this initiative and we successfully converted to RYA Champion Club.